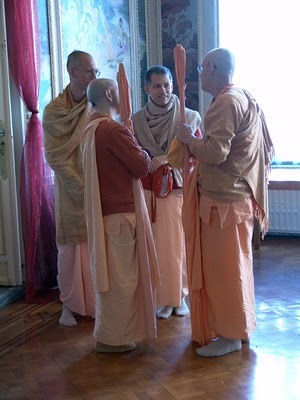 Kadamba Kanana Swami was spotted in the company of other elevated souls in Radhadesh. He is currently visiting Radhadesh and Amsterdam for the coming Vyasa puja & Queensday Festival !!! Only 4 days left for the wonderful festival and the next day it is again Queensday. See more info about that here. Join the fun on the 29th and the 30th of april.